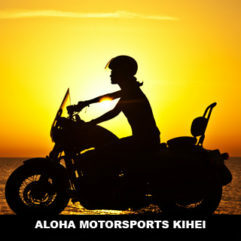 Offering Scooter Rentals and Harley Davidson Rentals in Kihei and Lahaina. We offer daily rentals for quick day trips, as well as long-term rentals to use during your entire stay. Call us today! 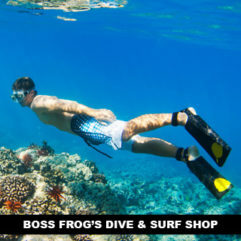 Established in 1986, Boss Frog’s is your one-stop shop for all your island fun needs. We rent snorkel gear, surfboards, stand-up paddle boards and many other beach-going items. We also have a large selection of fun-in-the-sun retail items and sell tickets for all available activities. 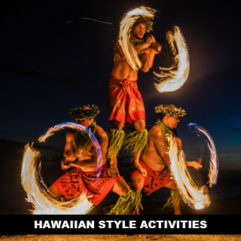 Aloha, Hawaiian Style Activities offer a full range of first-class beach activities and premier concierge services at affordable prices. The concierge team is staffed with knowledgeable and friendly Maui residents that make each customer’s vacation special. Please stop by! Perfect for a warm day on Maui. 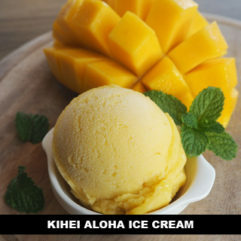 We sell Lapperts handmade Hawaiian Ice Cream, 104 flavors of yogurt and as a special Hawaiian dessert we serve Shave Ice with many topping flavors. 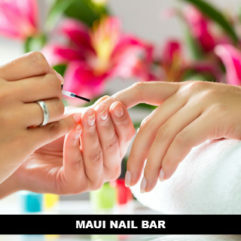 Maui Nail Bar provides thorough meticulously administered mani-pedi treatments in a friendly, clinically clean, modern and safe environment at affordable prices. We have a full staff of professional nail technicians to handle any size group. We specialize in weddings, special parties and special VIP events. 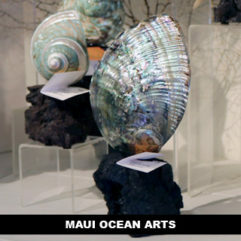 Established in 1981, Maui Ocean Arts is known for unique high quality locally made gifts, jewelry and art. We have the largest selection of decorator, specimen shells and corals in the state. We carry fitted toe rings and locally made charms for cable charm bracelets. A must see on Maui! 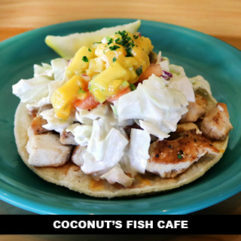 The nation’s favorite healthy fast food restaurant available at Kamaole Shopping Center. 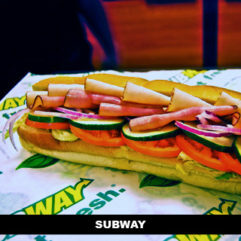 Purchase a variety of healthy sandwiches, including our new Atkins wrap. And, don’t forget to purchase the meal deal to round out your meal. Open daily 9am – 9pm. 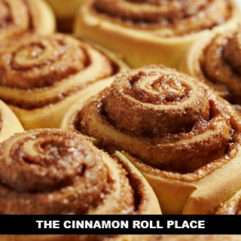 Follow the aroma to the Cinnamon Roll Place to try our delicious sticky buns, banana bread, scones and bread pudding. All made from scratch. To help get your morning going try our Hawaiian grown coffee and expresso drinks. We also have breakfast and lunch sandwiches to enjoy. Wave Ocean Activities and Concierge specializes in premier activities, tours and full concierge services. Our friendly Island Concierges are very knowledgeable of what there is to do on Maui and are here to assist in tailor making your vacation. We can book your Water Activities, Sunset Cocktail and Dinner Cruises, Luau’s, Helicopter and Airplane Tours, Van Tours, Dinner Reservations and more! 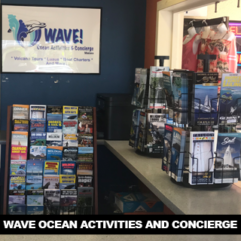 Stop on by and check out our “Catch the Wave, Deal of the Day!” to see some of the best offers on the island. 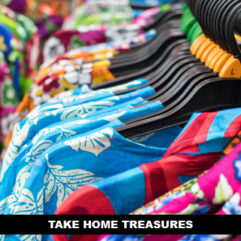 We look forward to meeting you and sharing our Aloha with you! For your day-to-day necessities, island-style snacks, beverages, groceries, disposable cameras, film, batteries, cosmetics, health and beauty items, newspapers, liquor and cigarettes. 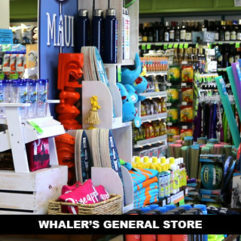 For your fun-in-the-sun days, we offer beach apparel and accessories, sunglasses, caps, towels and suntan products. 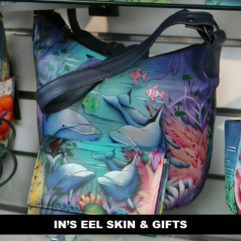 Don’t miss our wide array of souvenirs, collectibles and quality gift items. Or, discover our enticing selection of deli and bakery foods, including savory sandwiches, tantalizing entrées, special salads. Just 25 Minutes South of Kahului Airport!